According to ancient herbalists, people who drink sage tea never grow old. Native to the Mediterranean region, both herbalists and cooks prize the long silvery-green leaves of the culinary sage plant, which grows as a small shrub and sends up stalks of pale purple flowers in the spring. Sage belongs to the genus Salvia, meaning "to save," and with varieties found around the world, it is not surprising that this medicinal herb has a storied history. The earliest records of culinary sage occur in ancient Egypt, where it was used to promote fertility in women. From there, according to Spiridon E. Kintzios of the Agricultural University of Athens, Greece, it was brought into Rome, where its medicinal properties were celebrated by notable writers, such as Pliny the Elder. To demonstrate its esteem to the ancients, simply picking sage in ancient Rome required a ceremony, clean clothes and special tools. Sage continued its northward migration, becoming an essential component of herb gardens in the Middle Ages. In the New World, native species of Salvia were prized by the Aztecs, who used the leaves and seeds as a food source and medicine and to produce face paint used to denote an individual's rank in society. 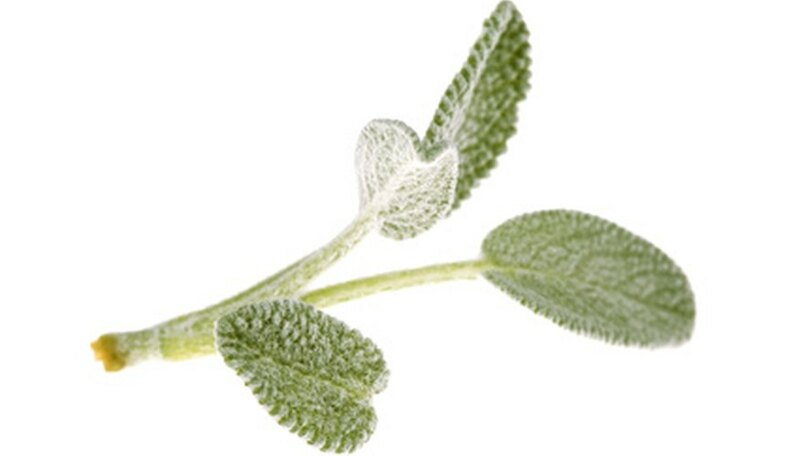 According to traditional Celtic lore, sage signifies wisdom, and eating sage provides immortality in wisdom and in body, the latter of which is likely attached to sage's numerous medicinal uses. In traditional medicine, sage is used as a drying agent, clearing mucous congestion and relieving night sweats, while its astringent properties make it valuable in treating wounds and sore throats. In the Middle Ages, the belief that sage prolonged life was expressed in the proverb, "Why should a man die if sage grows in his garden?" In addition to promoting physical health, sage was also regarded as valuable in protecting spiritual sanctity. It was believed to ward off evil spirits, and sage was used also to treat snakebites in recognition of both its antiseptic and protective properties. Modern Pagan practitioners use sage brooms to cleanse spaces of negative influence. The ancient Greeks and Romans had complex, sometimes contradictory, beliefs about the significance of sage. Sage is associated with the planet Jupiter, which the ancients believed represented domestic virtue. At the same time, it also belonged to the satyrs, half-man, half-goat mythological creatures that enjoyed drinking and debauchery. Varieties of sage native to China were also highly valued for their medicinal properties. The first mentions of medicinal uses of sage occur in Chinese writings from 206 B.C. Similar to its uses by other cultures around the world, sage was believed to impart physical strength and wisdom to those who consumed it. In the 17th century, Dutch traders discovered that the Chinese appreciated sage to the extent that they would trade three chests of tea leaves for a single chest of sage. What Is the Meaning of Holly Plants at Christmas?